Yesterday was another impressive session that would have gone completely the other way if it were a month earlier. The change in sentiment has been an amazing factor in the 2019 rally. It’s not about ebullience but normal thinking and reacting to news and potential news. The knee-jerk worst-case scenario reactions are gone, and that’s great for investors. Only three segments finished the session lower, while buying was distributed rather evenly. Market breadth was even more encouraging. 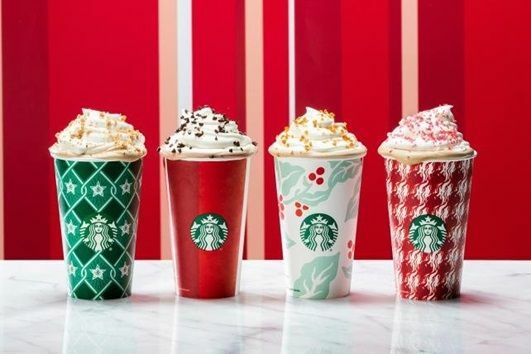 Starbucks just posted its best quarter ever in America in large part by bringing back holiday cups without political subtext or identity politics. Stop preaching to your customers -we don't need or want corporate virtue signal. Jay Powell’s Next Big Move? The really big speculation today is the Fed may pause or alter its quantitative tightening program. This would be huge, and it would allow the economic rebound to flourish and impact more lives. We took no actions yesterday, although we were tempted to ring the register a few times. This looks like what could be a significant breakout where current winners could significantly outperform. Today, we are making some changes to the PA. We are reducing Cash to 2 from 3 and increasing Industrial to 4 from 3. Charles, so President Trump is opening the government to pay border PATROL and coast GUARD. NOW PELOSI has To SIT,& HEAR, PRESIDENT TRUMP "STATE OF THE UNION ADDRESS SPEECH !!" Bet PELOSI and DEMS will turn away, Not show up, or sit on their hands ,etc. But president Trump WILL STATE THE FACTS, HOPEFULLY HE PUT A STATE OF EMERGENCY RESPONSE INTO EFFECT BEFORE THE TV VIEWING WORLD HUMANITARIAN CRISIS AT OUR USA BORDER & WHY, SHOW THE VIDEOS, THAT NEVER GET AIRED, AND ANGEL MOMS, FAMILIES AND SHERIFF SINGH'S STORY in CALIFORNIA on xmas, that still haven't been aired to most of USA. We are hoping you Charles PAYNE, will get the FACTS & FULL INTERVIEW WITH OUR PRESIDENT TRUMP FOR FBN. THANK YOU CHARLES PAYNE. WE ARE 100% WITH OUR PRESIDENT TRUMP, AND WILL CONTINUE NO MATTER HOW MUCH THE DEMS SOCIALIST PARTY TRY TO LIE & SPIN FACTLESS PROPAGANDA.